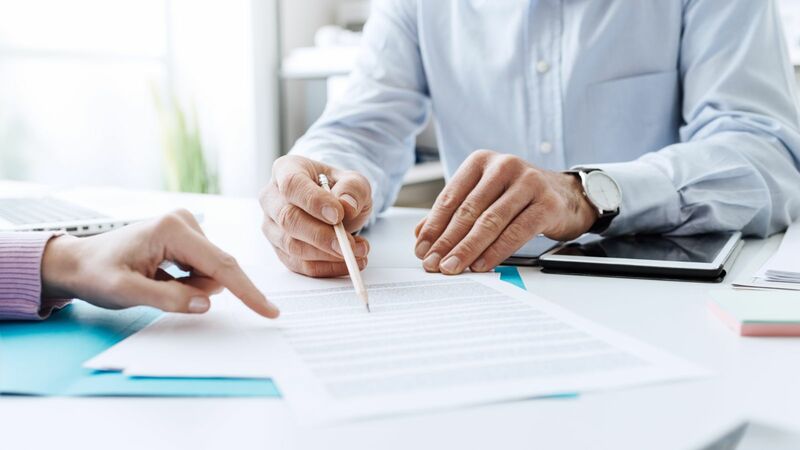 As part of the claims process in reviewing your claim the insurance company adjuster may want to schedule a “sworn statement” (sometimes called a recorded statement) with you. The statement may be arranged to take place on the phone or in person via a “field visit”. Why does the insurance company want to take your statement? It is most likely to try and obtain a statement from you about your condition that is inconsistent with other evidence in your file. By the time the recorded statement takes place, the insurance company will likely have some evidence about you. The adjuster will have reviewed your application for benefits, the adjuster may have reviewed some of your medical records, and you probably already filled out an Activities of Daily Living form for the insurance company. The adjuster will ask you questions about your medical treatment and the limitations you have as a result of your disabilities. The adjuster will also ask you whether your doctors have placed and restrictions and/or limitations on your daily activities. As part of the information-gathering process, the long term disability insurance company may also conduct video surveillance. Private investigation fees are expensive. The insurance company will not have the investigator follow you on just any random day. The insurance company will pick a day for surveillance when they know you will be active. For example, if you told the insurance company about an upcoming doctor’s appointment, the insurance company knows you will be leaving your house for an appointment that day. They will likely have the video surveillance company follow you the day before your doctor’s appointment and the day of your doctor’s appointment. More likely times for surveillance are the day before your recorded statement, the day of your recorded statement, and the day after your recorded statement. The insurance company will compare what you say about your limitations with your activity demonstrated on the video surveillance recordings. The insurance company is looking to see whether your stated limitations are inconsistent with the videos. What are your current medical conditions (history, symptoms, treatment, and diagnostics)? Did you miss any work prior to last day work or prior to the date your doctor advised you to stop working? What types of activities are you able to do? What types of activities are you unable to do? Tell me about your activities of daily living. What is your medical treatment plan? What are your current restrictions and limitations? What is your understanding of the expected recovery process? What are your return to work plans/goals? What is your estimated recovery time frame? What are the dates of her last office visits with medical providers? What are the dates of any upcoming office visits with your medical doctors? Who are your treating doctors? What are your current medications, including the frequency and dosage? What was your typical work schedule? What were the physical and cognitive duties of your job? How much time did you spend on each of your job duties (example, traveling, using equipment, participating in proceses)? What is your educational background (including highest level of education, certifications, trainings, computer knowledge)? Were you eligible for bonuses and/or commissions? Can you confirm your current income (e.g., are you currently working, receiving workers’ compensation, unemployment, or any other income)? Are you receiving any of the following: Social Security (disability or retirement); workers’ compensation; other group disability or individual disability insurance benefits; pension/retirement/PERS/STRS; and/or a third party settlement for a motor vehicle accident or other injury claim? Once you are done with the statement, the insurance company may even ask you to sign a statement about your activities. Again, this will be compared to your medical records and any surveillance that has been conducted. This will highlight in writing any differences between the statement and what is shown on the film. The LTD/ERISA carrier will then present your statement and video footage to your treating physicians and ask them to sign off on a letter that says that you are capable of least sedentary work given what they see. In short, the insurance company is laying the foundation to try and paint you as a malingerer or fraud in order to deny/terminate your benefits. If you are asked to give a recorded statement or the carrier wants to conduct a field visit, you should seriously consider hiring an experienced long-term disability/ERISA attorney like Nick Ortiz to represent you. You need to be prepared! The insurance adjuster is much more familiar with this process than you. They will take advantage if your inexperience and use your own statements against you. You need someone on your side to protect your legal rights. For example, an experienced LTD attorney may make sure that you are not asked open-ended questions. You need to have the statement and/or field visit done in a neutral location. (For example, it in inappropriate for the statement or field visit to be in your home. If they are in your home, they will ask about things such as maintenance of the home. They may comment on the appearance of the home. The adjuster may ask – in what seems like a casual, conversational tone – about how you keep up with your house or yard work. The adjuster may then use your comments to draw improper conclusions about your ability to work.). Experienced long term disability insurance lawyer/ERISA attorney Nick A. Ortiz can help prepare you for your statement and field visit. If your LTD claim has been wrongfully denied or terminated, Mr. Ortiz offers free case evaluations. Call the Ortiz Law Firm at 850-308-7833.